Book this and get lucky. (SPOT.ph) A dream vacation is a charming idea, up until you realize how much it’ll cost you to make it happen. With Klook’s latest promo, however, you only need P50 for the chance to travel to different parts of the world. Picture yourself walking down Hollywood Boulevard in Los Angeles—and maybe even spot a celebrity or two if you’re lucky. 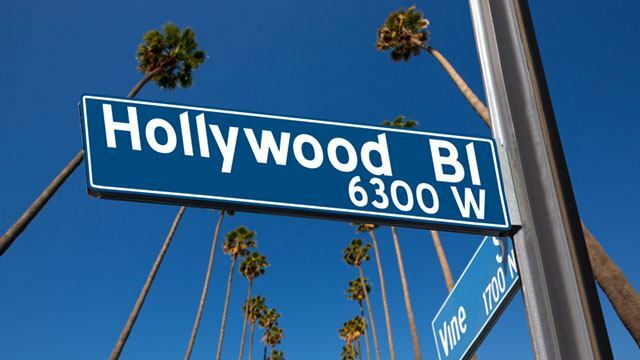 You can also visit the stars of your fave celebs on the Walk of Fame and take a photo of the famous Hollywood sign overlooking L.A.
Feel like a royal when you take a photo by the Buckingham Palace in London, or visit Big Ben. 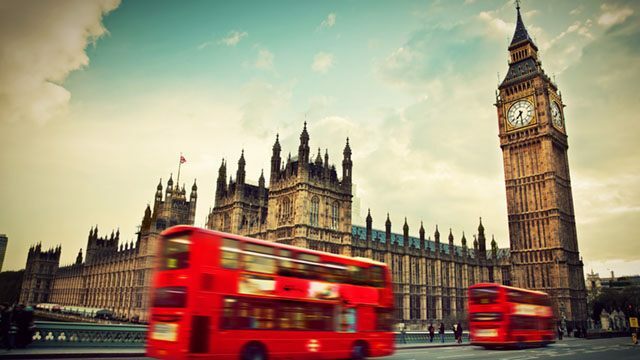 Take a selfie beside a bright-red telephone booth or enjoy a ride on the London Eye. 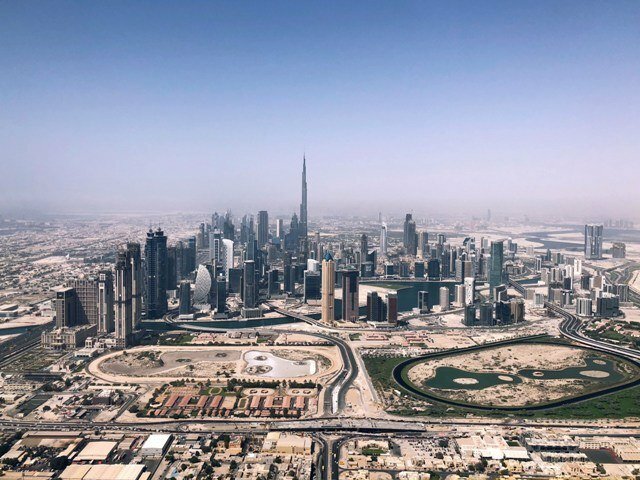 Going to Dubai means seeing one of the tallest and most beautiful buildings in the world—the Burj Khalifa. Aside from the impressive cityscape, the shopaholic in you will enjoy the seemingly countless stores you can visit. 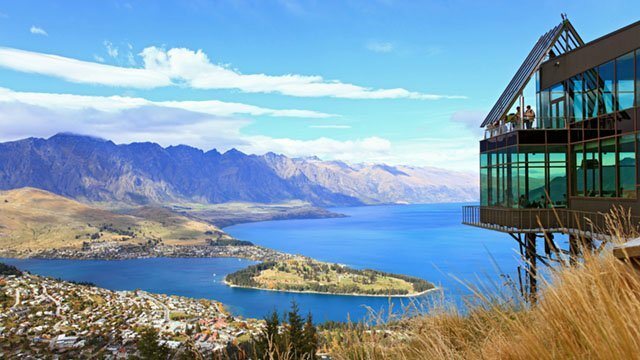 In Queenstown, you’ll be greeted by breathtaking scenery left and right. The town in New Zealand is surrounded by beautiful lakes, snowcapped mountains, and lush forests, making for an idyllic vacation. 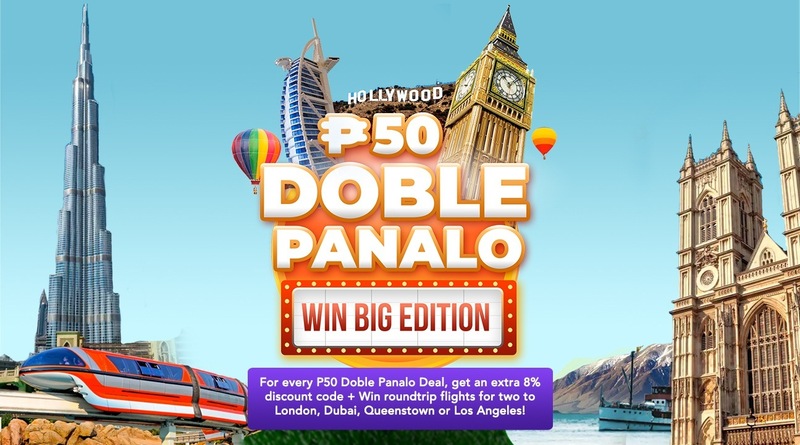 All you have to do is book the Doble Panalo Win Big Edition promo using the Klook app. By getting the fifty-peso deal, not only do you get 8% off on your next Klook activity, but you also get an e-raffle entry for a round-trip flight for two to London, Los Angeles, Queenstown, or Dubai. The best part is, you can book the promo as many times as you want so you have more chances of winning. You may join the raffle until July 22. Book your Doble Panalo: Win Big Edition raffle through this link. The additional 8% discount is valid until December 31, so no need to worry if you don’t have any upcoming trips this July. There are also weekly prizes where you can win P20,000 worth of credits from Klook and P20,000 worth of points from GetGo. Follow Klook on Instagram and check out its IG stories for the chance to join the weekly raffle. The raffle winner will then be announced at Hong Kong All-Access: A Travel Workshop by Klook at SM Megamall Mega Fashion Hall on July 29. If you want to join the workshop, you may RSVP through this link. Visit the Facebook event page for more info. Klook is Asia’s largest in-destination services booking platform that gives travelers a simple and trusted way to conveniently book and enjoy over 40,000 popular attractions, local experiences, and services around the world. Founded in 2014, Klook has been recognized by globally-renowned media and awards including Forbes, Deloitte Fast Technology, Wall Street Journal, CNBC, and many others. Klook’s mobile app has also been awarded Best of the Year by both Apple App Store and Google Play and has been featured over 100 times as the go-to app for trip planning. For more information, visit Klook’s Facebook page and official website.